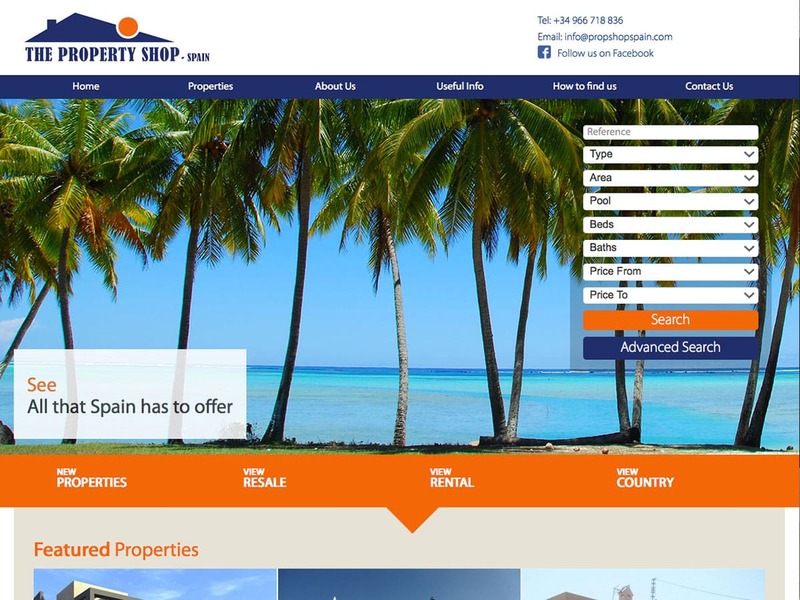 The Property Shop Quesada are a real estate agency in Ciudad Quesada, Spain. They are one of the busier estate agents in the area with a large customer base and many properties on their books. We were responsible for designing a new logo and a website that would look modern and engaging, but easy to navigate and access for visitors of all ages on all devices. Once the design was complete and approved, we built a custom fully responsive WordPress theme for the website and a matching theme for the property section.